On Sunday a very poorly, sick, thin cat was rushed to the vets and has been on a drip for the last 3 days. The old stray cat was found near Les Banques and has had a number of health issues and sadly no microchip. 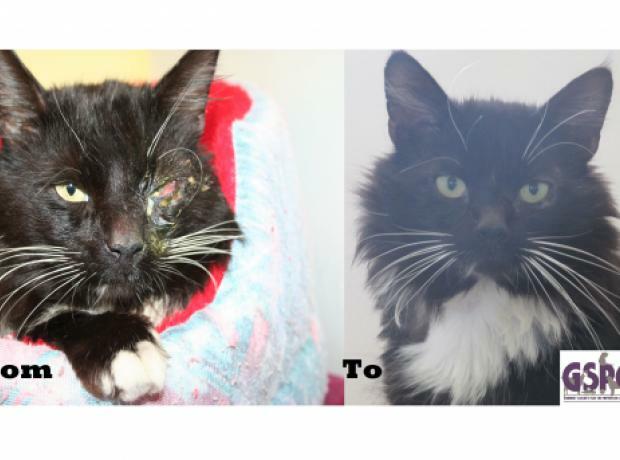 The condition the cat was found in meant it would have likely not made a recovery if it hadn't have been taken to the vets when it was found. The team have called the cat Mercedes who is a black and white female of an age estimated over 10 years. We have been checking lost and found reports but we have not yet found any matches. 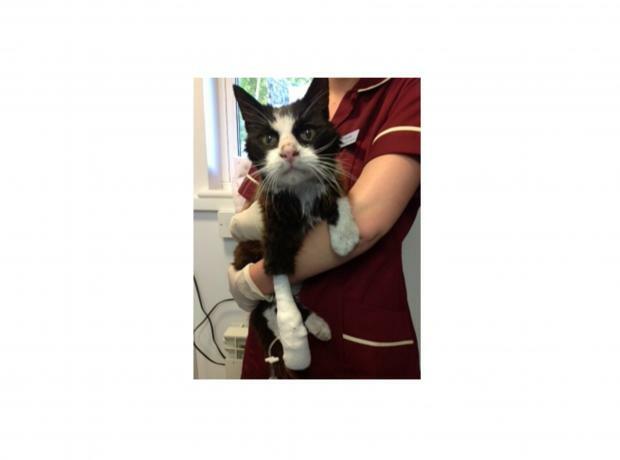 Yesterday we told you about Dude a very sick old stray cat that was found on the Bridge in St Sampson's. He has just arrived back from the vets having had some tests and is a very tired lad so is currently asleep after a long day. We are pleased that thankfully he has tested negative for feline aids and leukemia, but we have discovered he has high blood pressure which has resulted in his eyes hemorrhaging which has caused a loss in his sight. We are awaiting further results which include tests for his thyroid and renal. Earlier this week we reported on Jubilee an injured stray cat that was rescued in the Castel area. We would like to thank everyone for their donations towards Jubilee and we are pleased to report his eye is healing extremely well and he is improving daily. Just over a week ago a stray, female, tortie and white cat of around one year of age was brought into the GSPCA from St Peter Port. On arrival she wasn't in the best of conditions with a very dirty coat, full of flea's, not acting very well in herself and extremely thin. With no microchip or identification we are appealing for an owner to come forward, but it does appear that she had been out for some time. On Sunday night a very old, thin, weak sick cat was found on the Bridge in St Sampson's and brought into the GSPCA. With no microchip or collar and tag the cat is now under the care of the team at the Animal Shelter. 'Dude' as he has been affectionately named is a black and white short haired cat that has many health problems and is painfully thin.